Who does not love the excitement of writing love letters? We seem to have lost the art of writing letters in the hustle bustle of texting, messaging and emails. But there is nothing more romantic than picking up a writing pad and a pen and professing love for your significant other. After seeing how adorable Charu and Aditya were together, I could not help but include the “love letter” theme in their e-session. We started our day at the Talbott Hotel with outdoor seating on a serene sidewalk on a windy and surprisingly chilly saturday morning in may. A fun filled wine tasting session that ended with a big spill! After the wine tasting, we made our way to the cancer survivor garden in Millenium park. The next hour felt like we made our way back in time – 80s Bollywood – love letters, expressions, a gorgeous girl and a handsome guy. 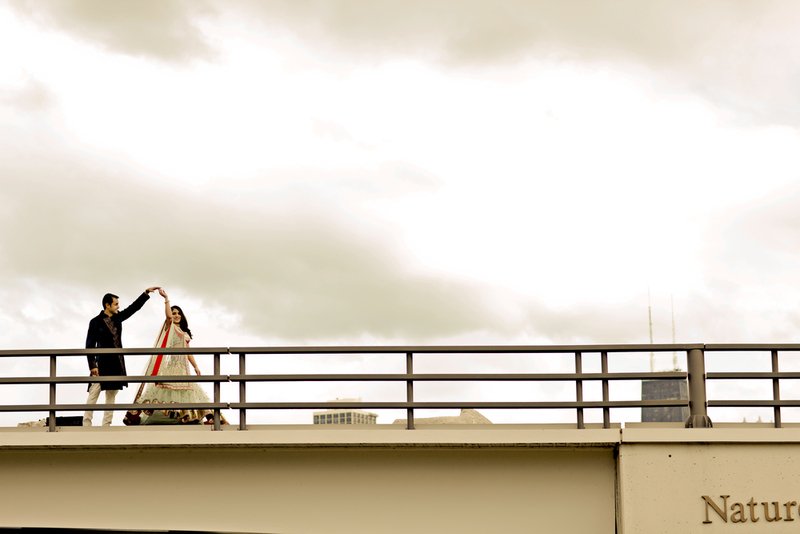 Got some stunning images thanks to the amazing chemistry between Charu and Aditya. Took a short break, outfit change and off we were to the south pond pavilion in Lincoln park zoo. 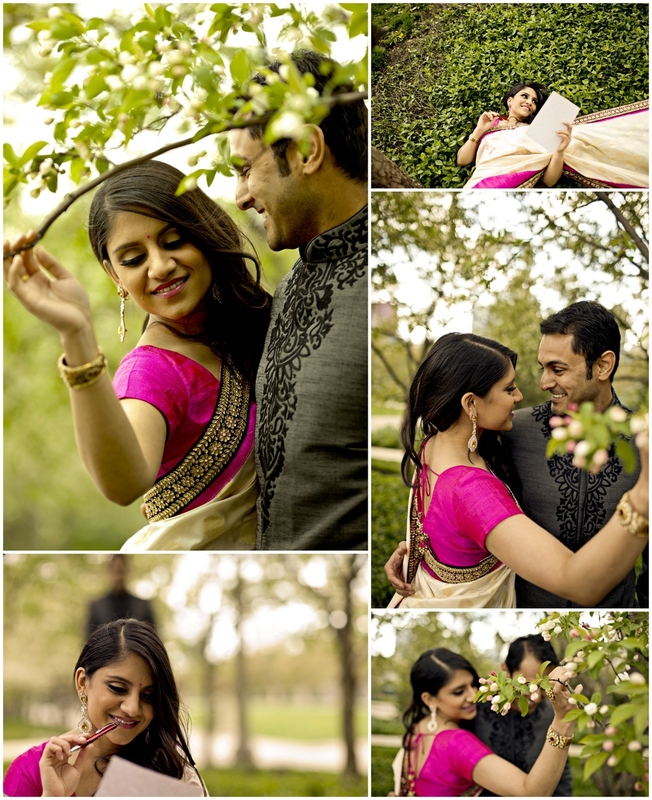 A wood and fiberglass architecture provided for an exquisite location to shoot Charu and Aditya’s sangeet outfits. 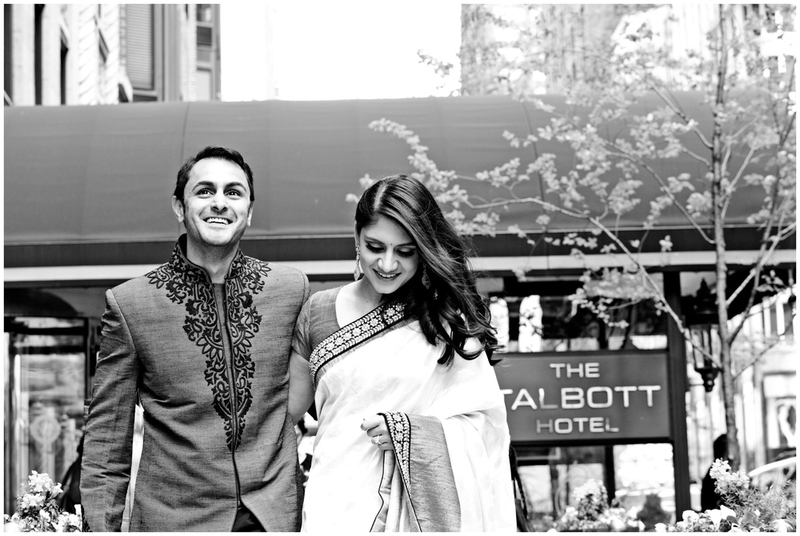 Charu’s outfit by Sabyasachi had the right amount of bling and photographed very well. The wind started picking up and temperatures dropped quickly. But we braved the chill in the air and made our way to Adler planetarium. Aditya sings and plays the guitar. Again, I was obsessed with going Bollywood – out came the guitar and we clicked Aditya singing to Charu and teaching her how to play the guitar. Cute and adorable moments, me all wrapped up in a throw and clicking away happily! We ended the evening with their reception outfit (which I will blog after the wedding is over). Cant wait to shoot the wedding tomorrow. Look forward to meeting their families and working with some amazing vendors at the Hilton.